Home - AWL for All from C.A. Myers Co. The Easy To Use Leather & Canvas Repair Tool. Repairs Many Leather, Plastic, Vinyl, & Cloth Items. 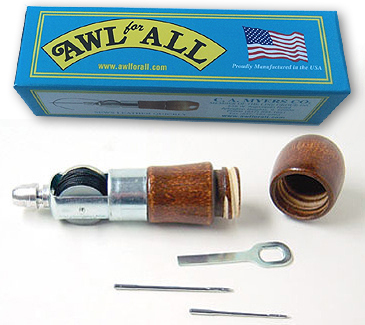 This unique American Made wooden handled sewing awl is perfect for craft work as well as a wide variety of repairs. 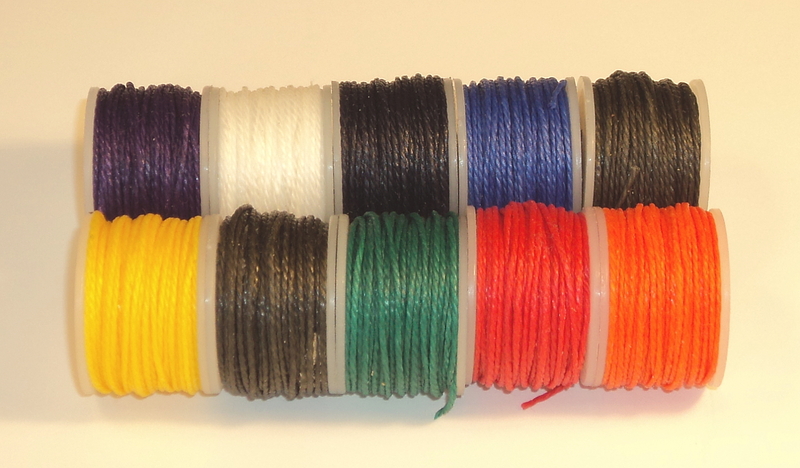 Indispensable for mending leather goods, camping gear, sports equipment, nylon sails, saddle, tack equipment, shoes and handbags. It is also an essential tool for the handyman as well as for the hobbyist and the outdoorsman. Comes with heavy duty thread and needles that store in the handle. Easy to use repair tool for tents and camping equipment, sporting goods, handbags, backpacks, luggage, upholstery, pool covers, awnings, tents, auto tops, equestrian equipment, saddlery, shoes, sails and many other items. Your easy to use leather and canvas repair tool. 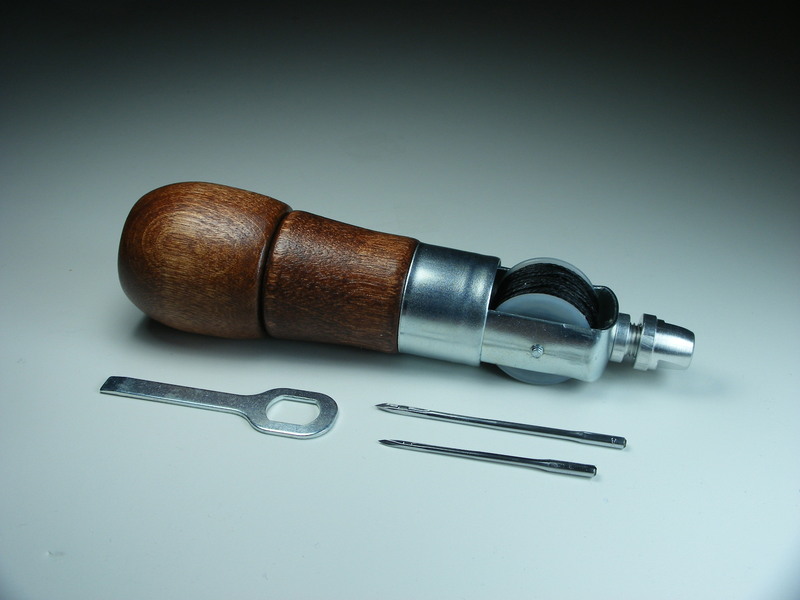 If you work with canvas around boats this lockstitch sewing awl belongs in the locker with plenty of extra thread. On the farm or ranch, you will use this awl for repairs of harness, and all other leather goods. Proudly made in the U.S.A.
Give an old leather jacket from the back of your coat closet new life by turning it into a stylish everyday tote with Awl for All.